Learn how to increase Internet speed on your Windows computer and Android mobile phone. With these tips you can boost your browsing speed significantly. In these days of multimedia download and upload on Internet, no matter how fast Internet connection we get, it will always appear to be slow! In some parts of the world, the Internet speed is indeed woefully slow as it hasn’t increased in proportion with the massive usage of the Internet. As a result, we find a lot of people asking how to increase Internet speed on their computer and mobile phones. Did you also ever feel that the increasing internet speed is a challenge? Surely you did, we all do. But what is the solution? Buy a faster internet connection? May be yes. May be no. Yes, if you are sure that your ISP internet plan does not support higher speed or your wireless router is old and needs upgrading. No, because it is important to first identify the cause for the slow Internet speed. This article will help you understand the common reasons for slow internet speed and will also provide tips to increase Internet speed. Before you try to increase internet speed, it is good idea to perform a speed test of your net connection to check the current download and upload time. You can use SpeedTest.net to test your connection speed. Web developers can use Google PageSpeed to see how well their website is performing. 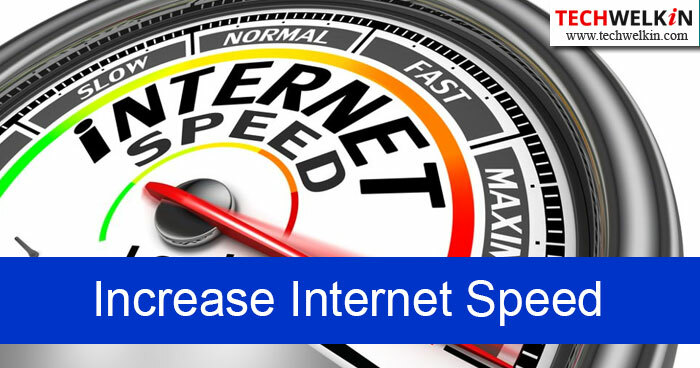 Once the speed test is done and results are unsatisfactory, you can take the following steps to boost Internet speed. If there are many users/devices connected to the same Internet connection, each one will get slower speed because the bandwidth will be divided among all the users/devices. It is a typical scenario in home Internet connections wherein various family members use the same connection on their computers and mobile phones. It is suggested that you cut off some of the devices that are sharing your Internet connection. If you are using devices to download, stream, and read simultaneously, it will impact the speed. Turn off some of the devices to boost speed. An older wireless router may not be compatible with the selected ISP plan. The ideal solution is to talk to the service provider and upgrade the router, if required. Changing your Wi-Fi channel may also boost the internet speed. Consult your router’s support to switch to a less populated channel. They will help you to understand how to access the router and change the wireless channel. The location of the Wi-Fi router also matters. Place your Wi-Fi router in an open space rather than hiding it in a closet. If your devices are placed closer to the router, you can see higher connection speed. It is equally important to ensure that your router is secured. Else, unauthorized users will use up your bandwidth and slow down the connection. If you suspect that someone else is using your Internet connection by hacking your Wi-Fi router, you should immediately change your password and set a new and strong password that can’t be guessed (you can use our strong password generator). If nothing works, power cycling or turning off the Wi-Fi router for a minute and restarting it does work. This action resets the connection and may improve the Internet speed. If you are using a DSL connection, ensure that you have the best quality filters in place for an ideal internet speed. The filters are little plugs that help filter out disturbances. If you are using a wireless Network Card with your computer, the speed will be slower than if you use a wired Ethernet connection. Hence, connecting Internet via cable provides the fastest possible speed without upgrading your network card. If you can, you should prefer a wired connection over a wireless connection. Many people ask the questions like “which is the fastest web browser?”. Such questions are not relevant in context of increasing Internet speed. As far as Internet speed is concerned, you may see minute difference by using different web browsers. Using an older version of the web browser, however, impacts the internet speed. You should use the latest version of the web browser for a smooth functioning. 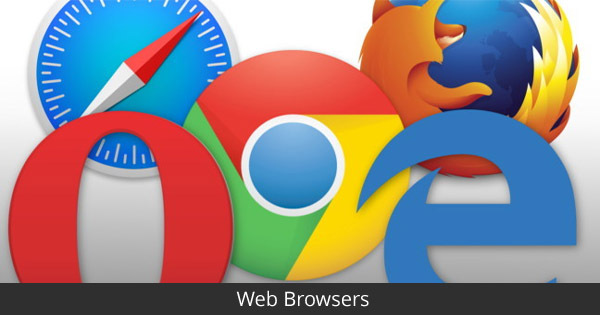 Most browsers are under constant development and newer versions offer enhanced speed and functions. Additional add-ons and toolbars on your browser consume a lot of memory and may slow down your computer and internet speed. Disabling the unnecessary add-ons and toolbars will improve the speed. If you have very slow speed, it is good to retain the browsing cache and history. If you’re wary of browsing privacy, you can use the incognito mode of your browser but this mode will not keep any cache or history. The browser cache stores the copies of the resources that a specific website requires. The next time when you visit the site these resources do not have to be downloaded again. Deleting the cache slows down the browsing while the browser rebuilds the cache. But, over a period, more and more information is stored in cache and this can actually reduce the browser speed. So, occasional clearing of the cache too can enhance the Internet speed. Most of the websites rely on advertisements (like Google AdSense) for revenue. These adverts also take up some bandwidth to get downloaded. You may consider blocking adverts on the websites to improve the Internet speed. It is good to use latest operating system so that you can have access to the latest networking protocols and services. Always keep your computer free from computer viruses and malware as they tend to communicate with master servers and slow down the Internet speed. Ensure that no programs are running in the background; like scheduled backups and windows updates. Such tasks may take up a lot of RAM and slow down your computer’s speed. As a result, your browsing speed may also be affected. Scheduled tasks and updates can be performed manually when required. Browse through your installed programs and remove the ones that you no longer use as they may use up the bandwidth. However, be cautious while deleting the programs and ensure that it is not a critical program. Bandwidth is the amount of data that you are allowed to download or upload based on your selected plan. However, sometimes you do not receive as much speed as provided by your ISP. There could be many reasons for the such slow speed and one of them could be reserved bandwidth. You can change the reserved bandwidth settings by using the Group Policy Editor. It is included in all the versions of Windows from Server 2003 and onwards. However, it is not included in Home Premium, Home Basic and Starter Editions but can be separately downloaded, edited and enabled to boost the speed. Some people vouch for increase in Internet speed by editing the TCP Registry Settings. But unless you are sure, it is best to avoid editing the registry settings. This is probably the most obvious of all the ways to increase your Internet speed. If you have subscribed for a slower net connection, you will get a slower net connection! So, if you are not happy with your net speed, check with your ISP and find out if they have better plans. Of course, plans with higher Internet speeds will cost more. So, you should select a plan that offers you the best reliability and speed at an affordable cost. 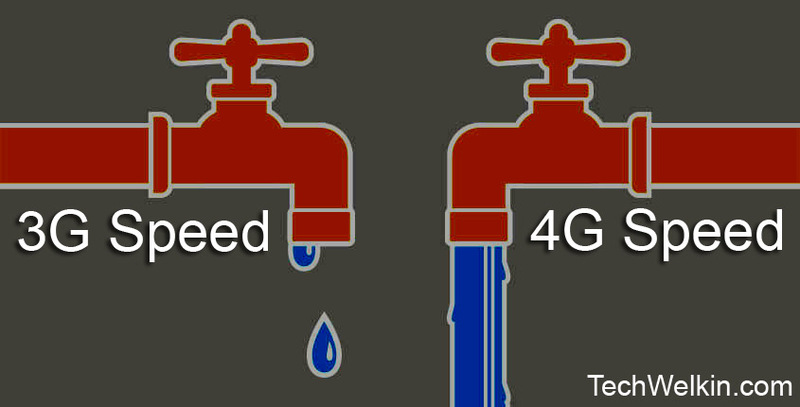 Difference between the speeds of 3g and 4g networks. Most service providers impose a data cap on your data plan. This means that your Internet speed will slow down after you have crossed a specified limit of consumed data. Typically, your ISP will not disconnect you entirely, but they will reduce the speed. So, check with your service provider. The penalty for exceeding the allowance is decreased speed for the rest of the billing period. See if you have been penalized. If you have Multiple Internet Connections, Combine Them! Having multiple active Internet connections and using just one of them to download a big file is not a very efficient way. Suppose, you have two connections of 1 MBPS speed and you’re downloading a high quality 2GB movie file. You can combine both your connections to get a speed of around 2 MBPS and thus you will be able to watch your movie sooner! You can join them regardless of their type — wired LAN/WAN, wifi connection or mobile Internet (3G/4G etc). Your connections may be from different ISPs but you can still join them. Learn how to combine Internet connections. Besides the above tips, you can also use free Internet Speed Booster software. It can boost Internet speed by optimizing the network settings or by compressing the data. We hope that these tips will help you in increasing Internet speed in your computer and mobile phone. If you have any other suggestions for TechWelkin readers, please share with us in the comments section. Thank you for using TechWelkin!